We have been poring over the OnePlus X for the past week and the full review will go live tomorrow. Meanwhile, many people are considering buying a Nexus 5X, thanks to the fantastic value it offers. But if you want the best value phone currently on Android, I would consider the OnePlus X first and foremost. OnePlus X has a sultry glass and metal body. It's ultra-thin, light and comfortable. The Nexus 5X can't compete in this sphere. Its rear camera bump is unsightly and the plastic casing just doesn't hold up alongside the OnePlus X. It's rare to find such a premium design as the OnePlus X has on any smartphone. But on a smartphone that costs US$249, it's outrageous. Both the Nexus 5X and OnePlus X feature a Full HD display, and both look great. But the original Nexus 5 featured such a display when it was released toward the end of 2013. While the Nexus 5 presented exceptional value at the time, selling for US$349, paying more money for the same tech on the Nexus 5X doesn't seem like such a good proposition. For a sub-US$300 phone like the OnePlus X to include a Full HD display shows significantly better value, particularly when similar screens can be found on devices starting at double the price. The OnePlus X comes with a Snapdragon 801 processor, while the Nexus 5X comes with a Snapdragon 810. While this should mean the Nexus 5X is far faster, the 3 GB of RAM housed in the OnePlus X (compared with the 2 GB in the 5X) means the difference isn't so stark. In our independent AnTuTu tests, the Nexus 5X achieved an average performance score of 42,352, which is a decent score, and the OnePlus X achieved around 36,956. That performance difference will go largely unnoticed, however, at least for the next year or two. Only when playing the most high-end games is there likely to be any perceptible difference. The OnePlus X comes with 16 GB of internal memory, as does the base model of the Nexus 5X. This isn't much, but the OnePlus X memory is expandable via MicroSD card. For people who like to use their phones to store lots of photos, videos and music, 16 GB of internal memory can be crippling. This won't be a concern with the OnePlus X. People love the stock Android experience that the Nexus 5X provides, but the OnePlus X is very similar. It won’t be updated as quickly, and long-term support probably won’t be as strong, but if your only concern is how the UI feels, the OnePlus X is one of the cheapest almost-stock Android experiences you can get. The OnePlus X has a sophisticated design, is not limited by low storage and has a Full HD display. The extra features it lacks compared with the 5X, such as a USB Type-C connector and a fingerprint scanner, are generally seen as luxuries to those who are simply seeking a powerful low-cost phone. Overall, the OnePlus X is startlingly good value and perhaps the best value Android phone that's currently available. That's my take, what's yours? Let me know in the comments. I'm sorry but this article is just terrible. The processor in the OnePlusX is offensive to the Snapdragon 800 series. The phone is like a shallow gorgeous woman who could be smart but thinks she can bank on her looks her whole life, so she doesn't ever attempt to achieve some potential. The "1+X" looks gorgeous from the outside, and inside it looks magnificent on paper, but didn't take advantage of the SnapDragon gift-of-god it was given. Cutting corners for such a price cut is understandable, but the wrong corners were cut as if the architect wrote the blueprints in MoonMan language instead of Chinese. There is no 4K video recording, no finger print sensor, so no NFC, which means no androidpay. The camera is weak, mentioning it in the same class as the Nexus 5x shooter should get you slapped. It could have wireless charging, but it doesn't even have quickcharge, or even USB - C. I get the giggles when someone brags about it having an AMOLED display compared to the 5x IPS LCD. So what does this all mean? The phone's small battery will die twice as fast with the AMOLED screen while also taking twice the amount of time to charge. So unfortunately the battery lifespan will be short, and it not getting android 7.0 most likely until android 8 is realeased. Combined with the weaker GPU, the 1 extra GB of RAM compared to the Nexus 5X is not an impact worth much. Much less that this will be useless altogether in two years. The AMOLED screen's best use is picking the background screensaver and streaming HD movies....oh wait, it doesn't support two major LTE bands for the only US carriers who can use the phone since it is only GSM unlocked. At least you can enjoy the deep black of a buffering screen??? Well ok fine who talks, on their cell phone anymore, you can just use WIFI to watch your FHD movies..Oh wait, the phone doesn't even include dual band AC wifi? Awww shucks...well we will always have that deep black and that super duper red buffering wheel on netflix! On the other hand the Nexus 5x is future proofed and will run respectfully until I choose to upgrade in two or three years. It already has Android Nougat (Beta). I have not into a bug on Android 7.0 yet, so I almost feel bad calling it a beta. The Nexus 5x also has Type-C Rapid charge, and great battery optimization (it will not rapid charge once the battery reaches a certain temperature). I won't have to worry about damaging the battery by using an AC adaptor whose output could put it at risk. The 4k video's I record, which I can easily transfer to my 64 GB USB-A 3.1 to USB-C flash drive, will look great on my television when I upgrade it to 4K. Until then I can enjoy a great sony camera with excellent HDR+ to view full sized photos sent directly to my google photos on the cloud. As for the obscure 3G bands included, alongside the unlicensed LTE bands not even in use yet, the 5X is the only obvious choice. And by the way, the Nexus 5X has the 808 processor, not the overheating 810 version. Not to say the one plus x isn't great for the price. If I didn't have $300 to get an unlocked Moto G4 Plus 64 GB I would definitely settle for the one plus x. However I think anyone who really wants a top of the line, true FlagShip killer, should save up an extra 100&change so you can get the ZTE AXON 7. But in the end all that matters most is that you take this misinformed article down or edit it to where it's logically insightful. When I read these reviews I often have a dissatisfied feeling. As someone here pointed out, today's luxuries are tomorrow's must have. The Nexus 5X is still a Google phone. Tired of waiting for Android updates that never come with Chinese phones. I have had Xiaomi, Lenovo and others. They are too cheap to update Android, so you get stranded. And the skins (bloatware) can drive you nuts. 5X for me. More money, but it keeps things simple. And besides, I hear that One Plus X customer service is a horror show. Who cares.. Get the phone "you" like". Bingo! Well said. A blinding flash of the obvious. Not if you can't just buy it. Besides, it's pretty much a 3G phone in the States. That's pathetic in 2015. Nexus 5 x is coming with eight sensors including compass, but one plus x is only with five sensors and without a compass. Nexus 6 Half price? where? Two big points missed. 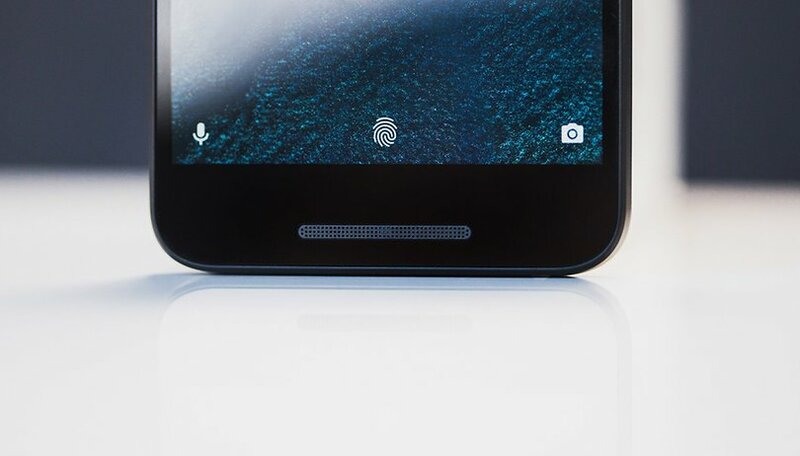 Nexus 5x has got always-listening voice control and finger print scanner which oneplus x lacks. Otherwise it's a great phone. What about camera performance? or customer service if you have problems? Yeah editors should proof read and check specification claims especially when the whole article is a comparison of devices. I'd still have the Nexus over a OnePlus though as stock android and regular updates supported by Google are such a big feature for me. What Scott said^. :) Also, adding to his argument, the 5x's camera is awesome and it allows for Google Fi.